Betty Ailene James, of Plainwell, MI passed away at her home, Sunday, November 25, 2012. She was born September 22, 1918, daughter of Hobart and Lucille Hale. 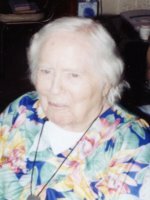 She graduated from Richland Agricultural School in 1936, spent one year at Western State Teachers College and one year at Parsons Business College. She was employed as secretary and telephone operator in Prairieville, Delton and Augusta until dial phones were adopted. Betty worked 38 years at Brown Co. and Georgia Pacific Co., then 24 years with State Theater and four outlying theaters. She retired at age 84. She was preceded in death by her parents; husbands, Walter James and Everett Conklin; and brother, Sydney Hale. She is survived by step-children, Thomas (Zadie) Conklin, David (Kathy) Conklin, Mary (Dale) York and Kerry (Kathy) Conklin; sister-in-law, Wilma Hale; cousins, Stuart Akon and Maxine Conibear; and nephews, Donald and Dennis Hale; 13 grandchildren and 10 great-grandchildren. The family appreciates the many hours of love and care these past 8 years given by good friend and P.O.A., Gail Brock; special care giver, Janelle Quigley; Steven Cutler, friend from California, who sent many cards and calls of encouragement; Senior Services; Absolute Care; Dr. Born and staff; Hospice and Meals on Wheels. Betty donated her body to the University of Michigan Medical School. A Memorial Service will be held at 10:00 AM on Monday, December 10, 2012, at Family Worship Center, Church of God, 5841 East H Ave., with Bishop Lane Davis and Rev. Kerry Conklin officiating. Burial of ashes will take place at Hillside Cemetery, Plainwell at a later date. Contributions in memory of Betty may be made to TCT Ministries, Inc. P.O. Box 1010 Marion, IL 62959, the Christian television station that Betty loved and watched her Sunday bible studies with Dr. Charles Stanley. 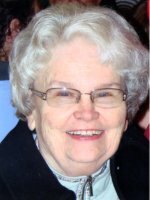 Joan Maxine DeVries of Plainwell, Michigan passed away Tuesday, November 27, 2012, in Kalamazoo. Joan was born April 24, 1946 in Kalamazoo to Reinert and June Maxine (Owen) DeVries. She was a 1965 graduate of Portage Northern High School. For 10 years she was employed with Dickerson’s Greenhouse in Bloomingdale and then was employed with the Plainwell Wal-Mart as a greeter for 14 years. Joan enjoyed working and never forgot a birthday, always sending a card. Surviving are her siblings, Al (Nancy) DeVries of Kalamazoo, Carol (Steve) Town of Bloomingdale and Nancy (Bruce) Newton of Hastings; her brother-in-law, Dwight Replogle of Delton; many nieces and nephews and great nieces and nephews. She was preceded in death by her parents and a sister, Janet K. Replogle. Friends may visit with Joan’s family from 2 to 4 and 6 to 8 P.M. Friday, November 30, 2012 at the Winkel Funeral Home, Otsego. Burial will take place at 10:30 A.M. Saturday at Mount Ever-Rest Memorial Park, Kalamazoo. Contributions in memory of Joan may be made to Hospice Care of Southwest Michigan. George H. “Butch’ Hatten of Plainwell, Michigan, passed away Thursday, November 22, 2012 in Kalamazoo. George was born August 10, 1953 in Allegan, the son of George and Margarite (Rex) Hatten. For many years he owned and operated a tire re-selling business. On September 15, 1972 in Allegan he married Linda Metheny, who survives. Also surviving are his children, Mid Wilbur (Ronda) Hatten, George Charles (TaLisa) Hatten, Kimberly Ann Tabbert and Robert Lee (Lisa) Hatten; 9 grandchildren; 4 sisters and 3 brothers, Shirley Luepkes, Kenneth (Pam) Hatten, Barbara (Gary) Henry, Roger Hatten, Doug (Louann) Hatten, Velma (Art) Keller, Stormy Melson; many nieces and nephews. George was preceded by his brothers, Joseph ‘Joey’ and Charles ‘Bud’ Hatten; and sisters, Evelyn Vickery and Geraldine ‘Gerry’ Hatten. Friends may visit with the family from 10 to 11:00 A.M. Wednesday, Nov. 28, 2012 at the Winkel Funeral Home, Otsego, where funeral services will be held at 11:00 A.M. Cremation will follow. Rachel J. “Grandma Buddy” Cary of Otsego, Michigan passed away Monday, November 26, 2012 in Kalamazoo. Mrs. Cary was born December 10, 1929 in South Haven to Orlo and Melba (Dunfield) Fletcher. For 30 years she was employed as a rural mail carrier with the U.S. Post Office and had also driven school bus for the Otsego Public Schools for several years. Rachel was an avid golfer and had made two holes in one. She also enjoyed fishing, hunting and visits to the casino. She was a life member of the V.F.W. Post #3030 Ladies Auxiliary. On June 18, 1948 in Otsego she married Ronald “Nick” Cary, who survives. Also surviving are two daughters and a son, Judy (Chuck) Moore of Otsego, June (Fred) Haddix of Pine Lake and Jim (Tina) Cary of Shelp Lake; 13 grandchildren; 32 great-grandchildren; a brother-in-law, Paul “Pete” (Bunny) Cary; many nieces and nephews. She was preceded in death by her parents and her brother, George Fletcher. Cremation has taken place. A celebration of her life will be held at V.F.W. Post #3030, Otsego from 1:00 to 3:00pm on Saturday, December 8, 2012. Burial of ashes will take place at Mountain Home Cemetery, Otsego. Contributions in memory of Rachel may be made to Wings of Hope Hospice or VFW Post #3030 Ladies Auxiliary. 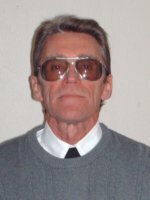 Wayne Allen Jankowiak of Allegan, Michigan, passed away Monday, November 19, 2012 at his home. Wayne was born May 25, 1956, in Midland to Virgil and Bonnie (Hiliker) Jankowiak. For 4 years he served his country in the U. S. Army and for many years was employed at auto parts buffing and polishing. Wayne was good hearted and always enjoyed an opportunity to help others. Surviving are two sons and a daughter, Wayne (Samantha Kozlik) Jankowiak of Shelbyville, MI, Dennis (Ruth) Jankowiak of Clarksville, TN, and Jennifer (Dan) Lay of Lowelll, MI; 9 grandchildren; 1 great-granddaughter; 2 brothers, Ed (Jessie) Jankowiak and Bill (Deb) Jankowiak, both of Allegan, MI; a sister, Amy (Mike) Pett of Lowell, MI; several nieces and nephews. He was preceded in death by his parents, Bonnie and Virgil Jankowiak; and two brothers, Ken Jankowiak and Virgil Jankowiak. Cremation has taken place. A memorial service in celebration of Wayne’s life will be held 11:00 A.M. Tuesday, November 27, 2012, at Winkel Funeral Home, Otsego, with Pastor Greg Carlson officiating. Military Honors will be conducted by V.F.W. Post #3030, Otsego. Contributions in memory of Wayne may be made to the Battle Creek VA Medical Center. Wilma J. Dalrymple of Watson Twp., Michigan, went to be with her Lord and Savior, Jesus Christ, Wednesday, November 21, 2012. Mrs. Dalrymple was born September 21, 1926 In Jamestown, Michigan to William and Jeanetta (Boerman) VanDerMeere. Wilma was a devoted homemaker and especially enjoyed spending time with her family. In her leisure time she enjoyed quilting and sewing. Surviving are two sons, Gary Dalrymple and Cecil W. Dalrymple, both of Otsego; four grandchildren, Russell (Tammy) Quick, Lisa (George) Meade, Lora (Matthew) Greenman and Christopher Dalrymple; five great-grandchildren, Dustin, Shelby, Chelsea, Emily and Alexis; a brother and two sisters, Henry VanDerMeere, Louella Warner and Dorothy Shattuck; several nieces and nephews. She was preceded in death by her husband, Cecil C. Dalrymple in 1995; a son, William ‘Bill’ Dalrymple in 1967; and a daughter, Janet Quick, in 2009. Friends may meet with her family from 5 to 8 P.M. Friday, November 23, 2012, at the Winkel Funeral Home, Otsego. Funeral Services will be held at 11:00 A.M. Saturday, November 24, 2012, at the Watson Bible Church, Rev. Ray Brown officiating. Burial will follow at Hicks Cemetery. Contributions in memory of Wilma may be made to Wings of Hope Hospice. 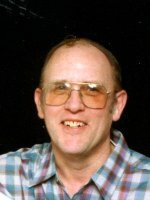 Larry L.Wason of Otsego passed away, Tuesday, November 13, 2012 at his home. Larry was born June 21, 1942 in Plainwell, the son of Albert and Junerose (Livingston) Wason and was a lifelong resident of Otsego. For 34 years he was employed with Plainwell Paper Co. until 2000. Then he worked at Schafers Bakery until 2002. In his leisure time, Larry enjoyed watching his son and grandson play ball, his granddaughter grow up and Pierre’s racing. On June 29, 1963 in Otsego, he married his wife of 49 years, Linda (Baker) Wason who survives. Also surviving are his sons, Pierre Wason of Gobles and Franky Wason of Otsego; two grandchildren, Jonathan Wason of Fort Knox, KY and Samantha at home; his brother, Robert Wason; his sister, Dian Florian; numerous nieces, nephews and cousins. He was preceded in death by his parents, a sister, Harriet Bolhuis and a brother, Albert A. Wason. Cremation has taken place. A memorial visitation will be held Friday, November 16, 2012 from 4 – 6 P.M.at the Winkel Funeral Home, Otsego, followed by a gathering at the Church of God in Otsego. Those desiring may make memorial contributions to the American Diabetes Association. Betty Dussia of Otsego passed away Sunday, November 11, 2012 in Otsego. Betty was born October 4, 1932 Allegan, MI to Leo and Garnett (Goodacre) Witt. Betty had been employed at Kal-Equip, Premier Printing and as a manager at the Comstock VFW. 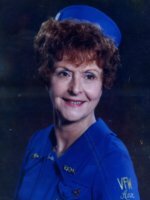 She was a past President of the VFW Post 3030 Ladies Auxilliary; enjoyed golfing and bowling and was also a dance instructor for many years in Otsego. Betty is survived by her sons, Robert Dussia of Kalamazoo and Randy (Brenda) Dussia of Otsego. She was preceded in death by her parents and her brothers, Bill and Richard Witt. In keeping with her wishes cremation has taken place. A Memorial Service be held Friday at 1:00 P.M. at Winkel Funeral Home, Otsego with Bill Rose, Celebrant. Burial of ashes will follow at Mt. Home Cemetery, Otsego. Contributions in memory of Betty may be made to Wings of Hope Hospice. Lois Wedge of Allegan, Michigan went to be with her Lord and Savior on Saturday, November 10, 2012 in Kalamazoo. Lois was born February 27, 1933 in Vassar, MI to Ernest and Adelia (Englehart) Bender. On March 23, 1953 she was married to Karlton E. Wedge in Vassar, MI. For many years she worked as a secretary and doing clerical work for the Allegan County Co-op Extension office. Lois was a very active member of St. John’s Lutheran Church and enjoyed sharing her love of her Savior Jesus Christ with others. Lois also treasured spending time with her family and friends. Surviving are her children, Doug (Lisa) Wedge of Middleville and Karlton (Shelly) Wedge of Allegan; 3 grandchildren, Jacob (Toni Michelle) Wedge, Ethan K. Wedge and Ellise L. Wedge; her siblings, Marilyn Graubner and Martin “Bud” (Sherrie) Bender and Carol (Hal) Baker; sister-in-law, Coral Bender and brothers-in-law, Chuck Olmstead, Melbert (Betty) Wedge, Doran (June) Wedge and Jack (Margaret Ann) Wedge. She was preceded in death by her husband Karlton E. Wedge in 2006. 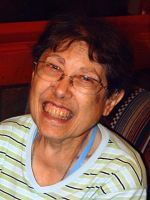 In keeping with her wishes cremation has taken place and a Celebration of Lois’s life will be held at St. John’s Lutheran Church in Allegan on Saturday, November 17, 2012 at 2:00 P.M. with Pastor Ronald Kruse officiating. Contributions in memory of Lois may be made to St. John’s Lutheran Church. 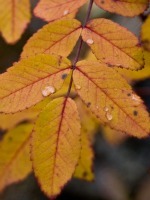 Terry D. Boerman of Otsego, Michigan, passed away Monday, November 5, 2012 in Kalamazoo. 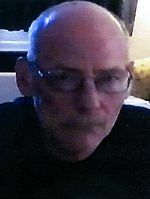 Terry was born July 16, 1952, in Plainwell to Robert and Henrietta (Clear) Boerman and was a lifelong resident of the area. In 1979 he joined the U.S. Army, where he worked as a tank mechanic. Following his service years he began his career in small engine repair, which he loved. In his leisure time Terry enjoyed music, playing his guitar, fishing and loved taking care of stray cats. On July 7, 2007 at their home he married Mildred ‘Millie’ Carr, who survives. Also surviving are his children, Cori Boerman and Toby Boerman; 7 grandchildren; his sisters, Deb (Tim) Anderson and Dee (Pete) Krcatovich; several nieces, nephews, aunts, uncles and cousins. In keeping with his wishes cremation has taken place and no services are scheduled at this time.